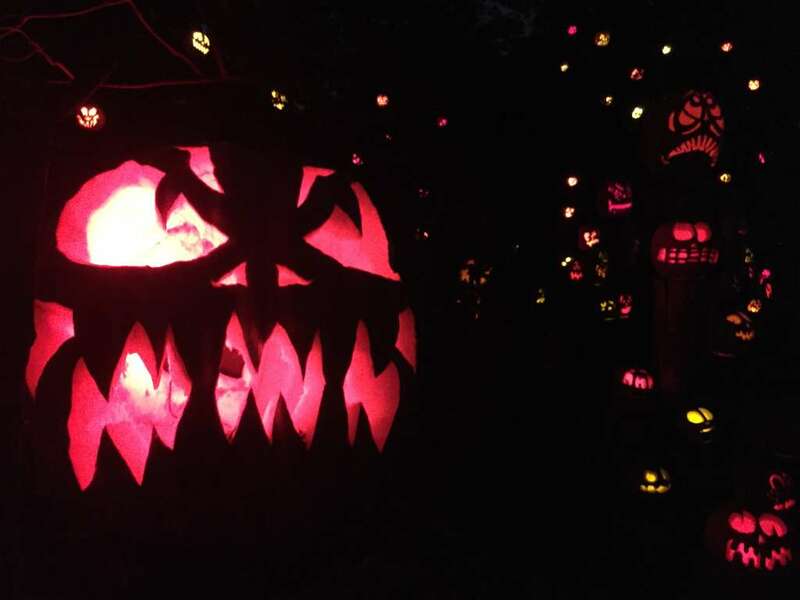 October is here and with it brings cooler temps, changing leaves and one of Rhode Island’s most anticipated and beloved events – the Jack-O-Lantern Spectacular at Roger Williams Park Zoo in Providence. 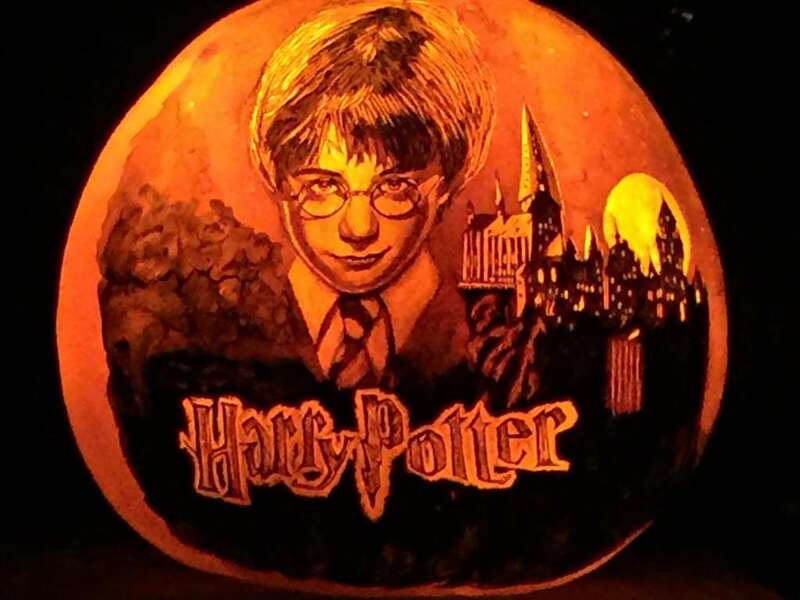 Running nightly through November 4, this must-see event is celebrating its 30th year and features 5,000 intricately carved pumpkins featuring scenes of wizards and fairytales, alongside superheroes, and historical figures who changed our world. Each year a new theme is selected, with the work beginning back in January to carefully select the theme and the music. Just when you think they can’t possibly top the year prior, they do. And this year is no exception. 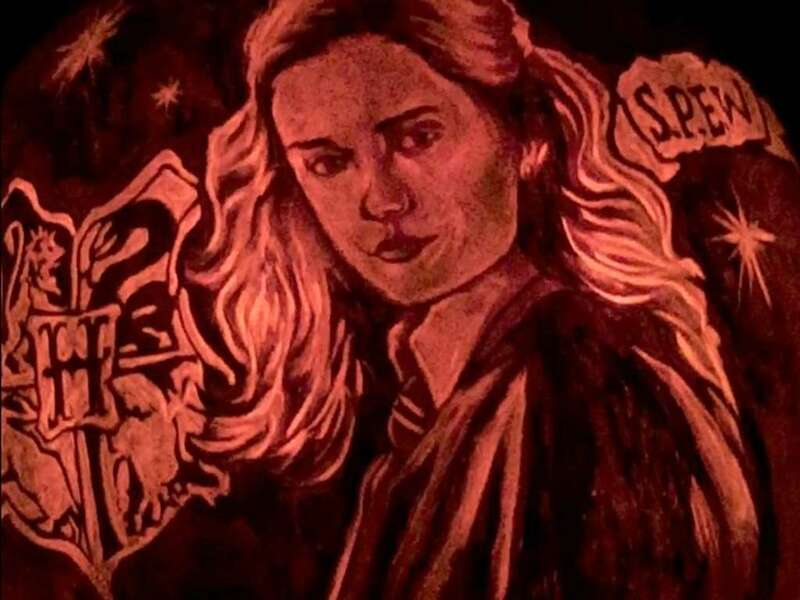 For you wizarding fans out there, entering the world of Harry Potter will be unlike anything you have experienced. 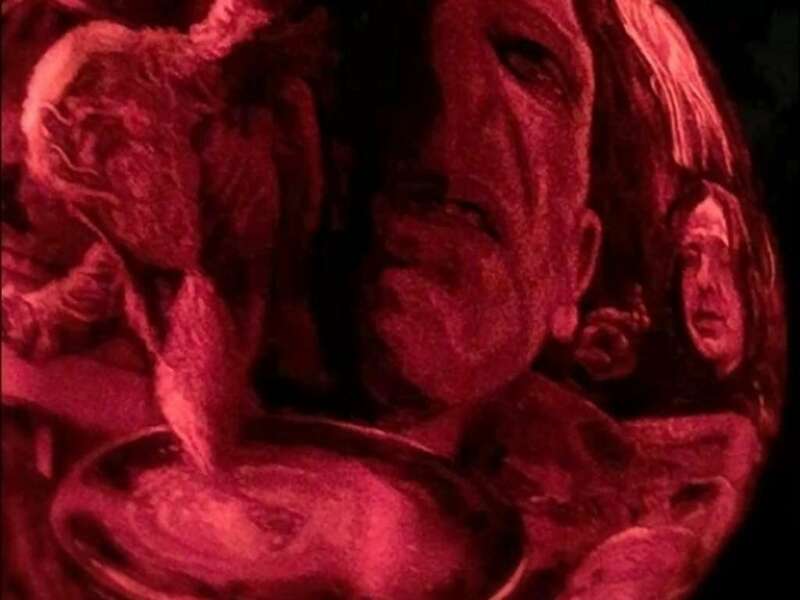 You’ll quickly spot Harry himself staring intently at you with Dumbledore, Lord Voldemort and Hermione just steps away, as the dramatic sounds of the movie’s theme music play. Be warned: trying to get a video in this section is virtually impossible as fans are shrieking with joy at seeing their favorites and queueing up for their very own selfie with Harry. 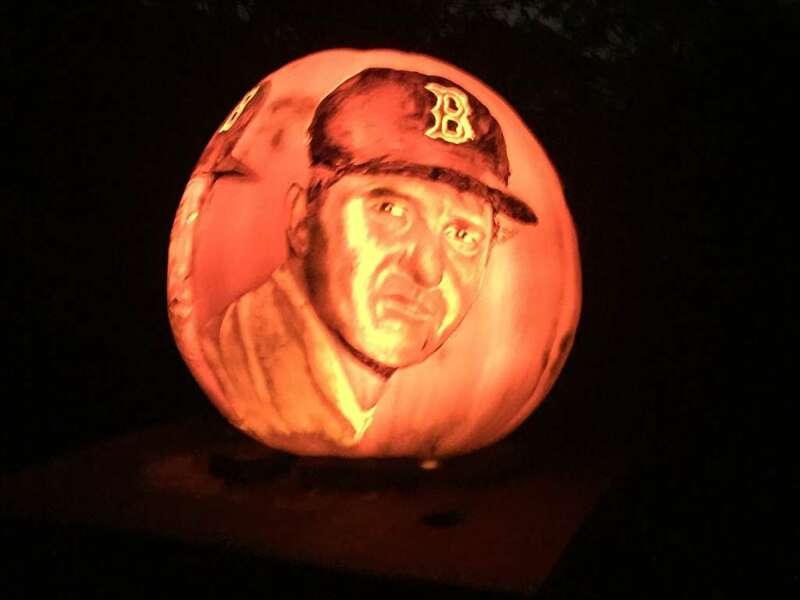 Sports enthusiasts will discover a treat as they enter the sports zone to the unmistakable opening chords of “Dirty Water” by The Standells, the anthemic song for New England sports team fans. 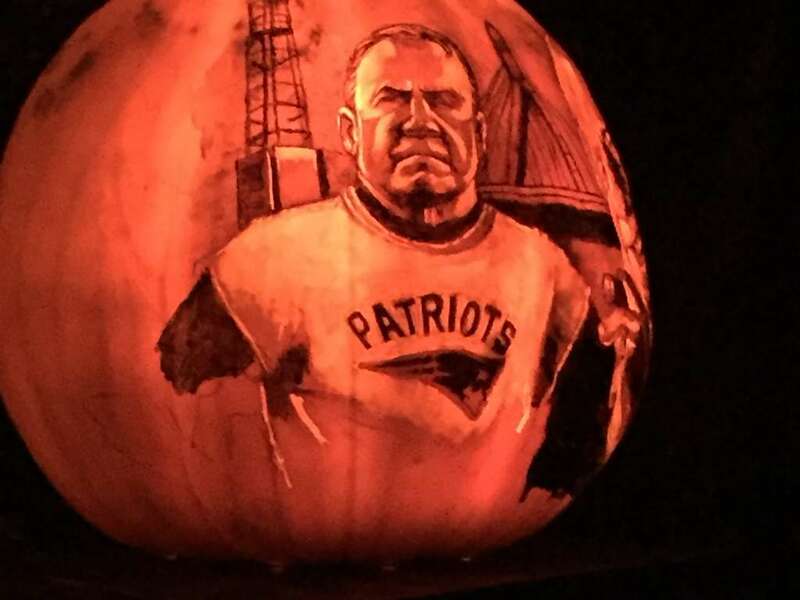 I’m talking Patriots fan favorite Rob Gronkowski and Coach Belichick carved on a pumpkin. 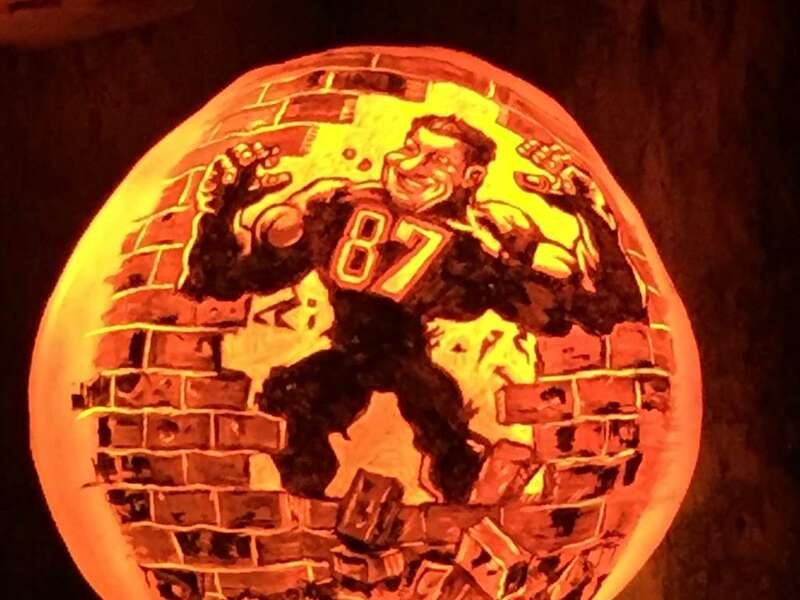 Gronk is grinning his megawatt mischievous smile and Belichick is portrayed with his infamous grimace. The Red Sox and Celtics get some love there, too. Nostalgia takes over for children of the eighties as you begin to hear the sounds of Pac Man playing in the distance. I found myself picking up the pace to get to the spot where the music enveloped me as though in surround sound. Fear not, younger gamers as Fortnight was well represented amongst the classics. 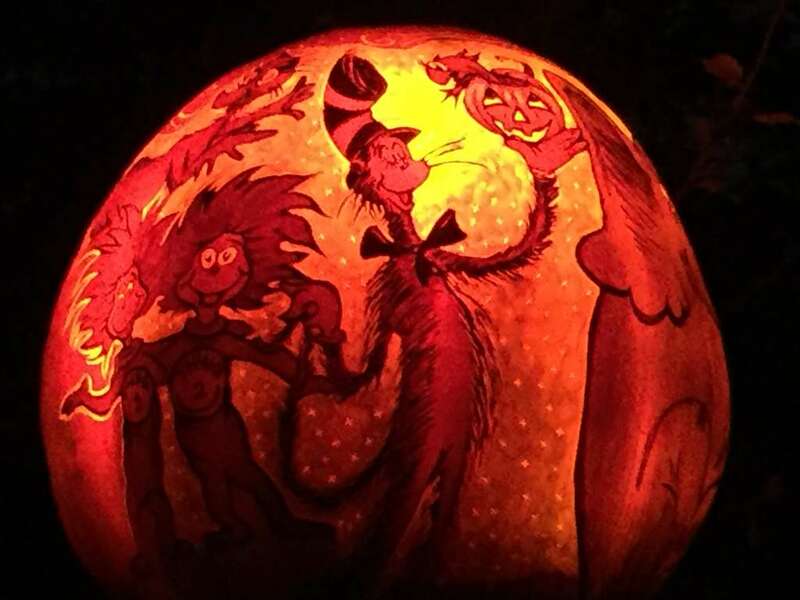 The walk down memory lane continues on with depictions of scenes from your favorite childhood stories are on display as well, namely Charlotte’s Web, Where the Wild Things Are, Curious George and the Cat in the Hat. It is always moving to see the memorial section right at the end as you prepare to exit, paying tribute to those we lost. 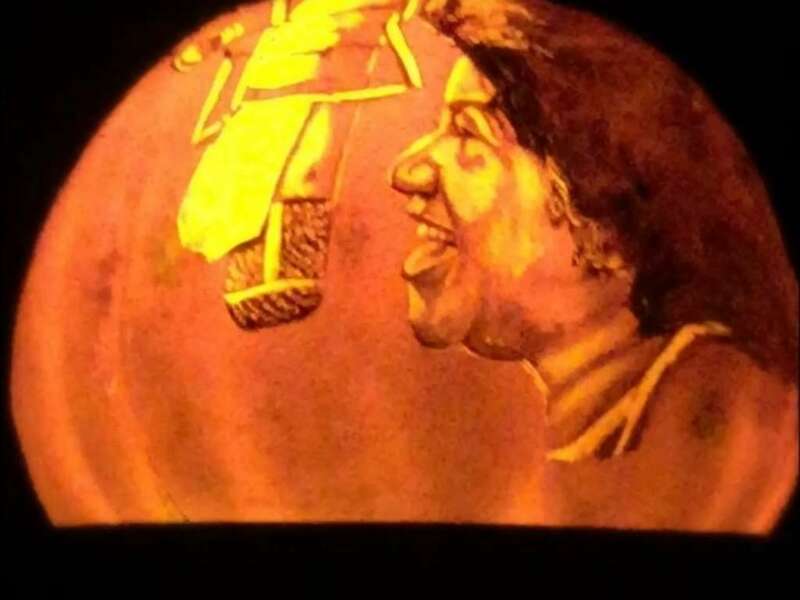 This year it featured Aretha Franklin, Senator John McCain, Anthony Bourdain and Barbara Bush to name a few. 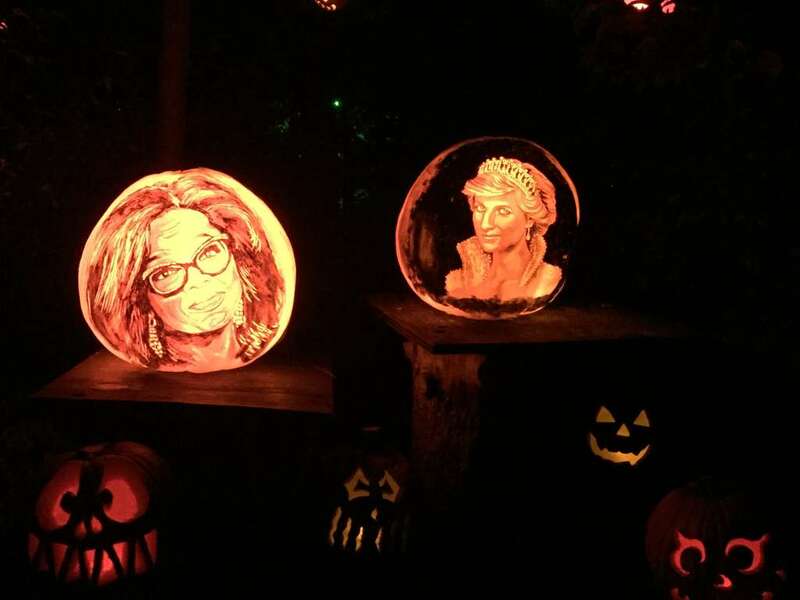 Their faces are carved ever so intricately into the pumpkins, which seem to glow even brighter in this section. Maybe it’s me, but it always gives me goosebumps. So how exactly does this all come together? 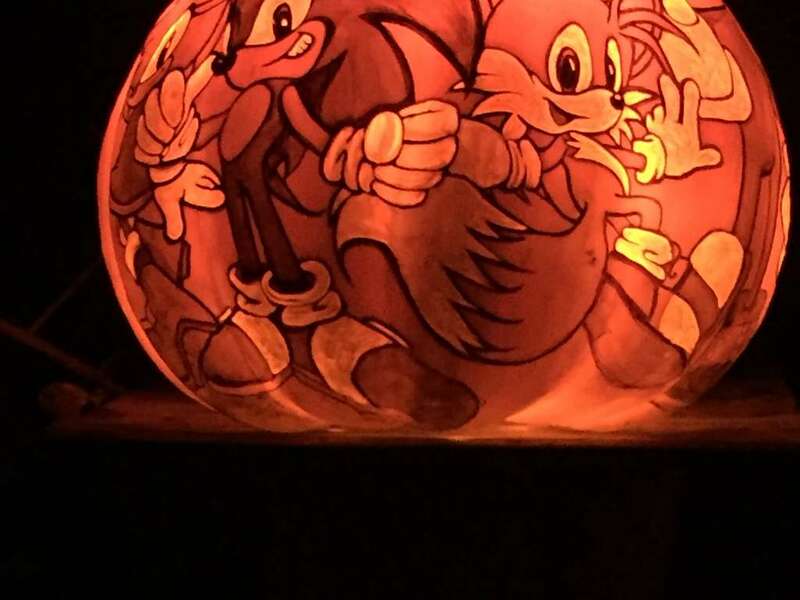 And just how many pumpkins are there exactly? 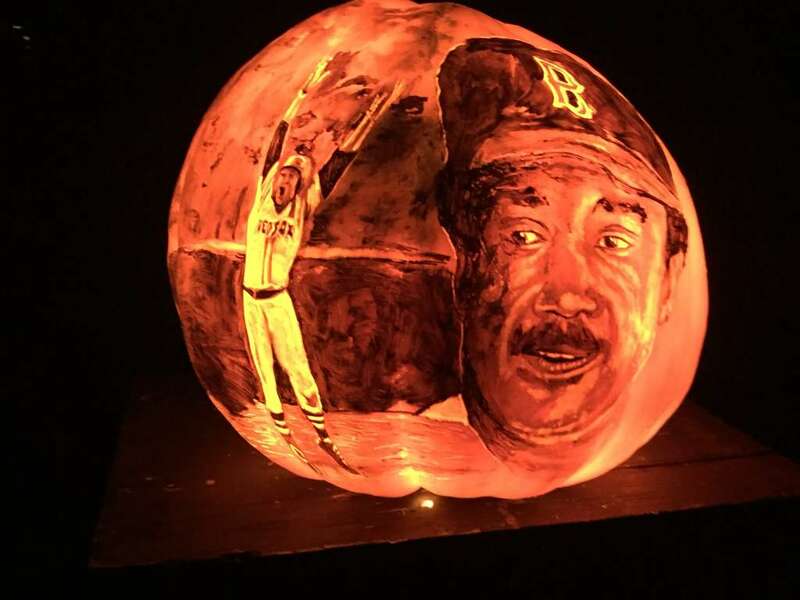 Passion for Pumpkins from Oxford, MA designs the Jack-O-Lantern Spectacular, and carves the over 5,000 illuminated pumpkins you see on the Wetlands Trail. 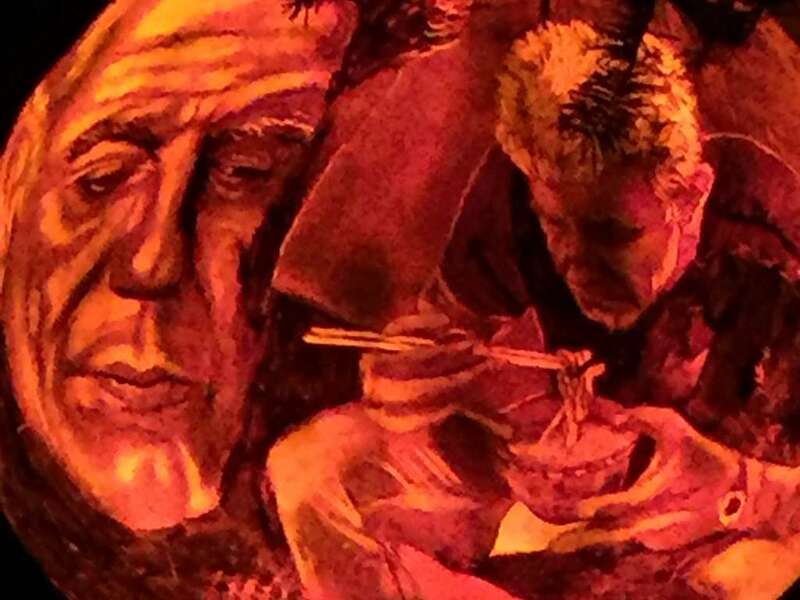 “We’re able to collaborate on this show and create this iconic experience for Rhode Islanders and people, in fact, from all over the world,” Nickolopoulos continues. In fact, as the Zoo’s Executive Director Dr. Jeremy Goodman points out, the reach is far more than just the Ocean State. “Every year we have a sign in book at the end of the trail and we have visitors from all 50 states every year and we probably average about ten different countries.” Goodman proudly adds they have received press from all over the world. And while it is certainly an enjoyable evening out, there is more to it than meets the eye. 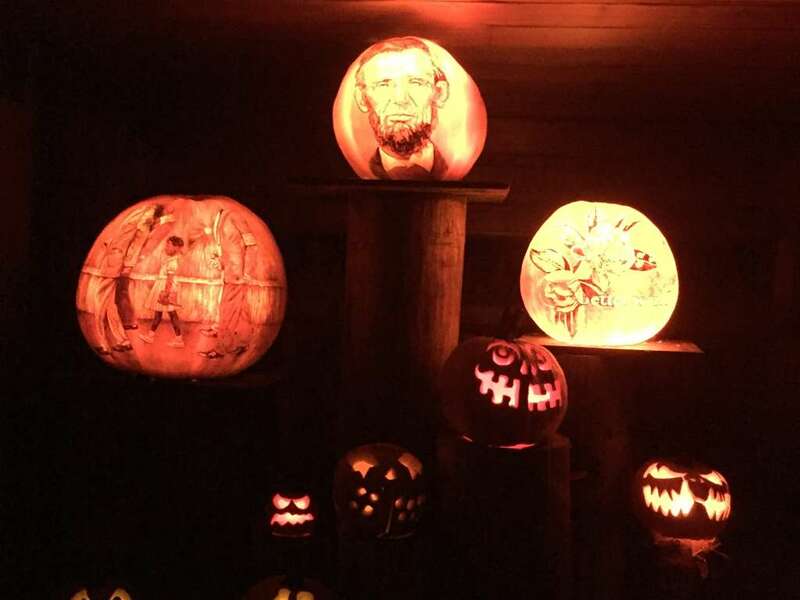 As a parent, Goodman explains that “going through the show is such a great educational opportunity as well because there are iconic pictures on some of these pumpkins – people in history or in politics. 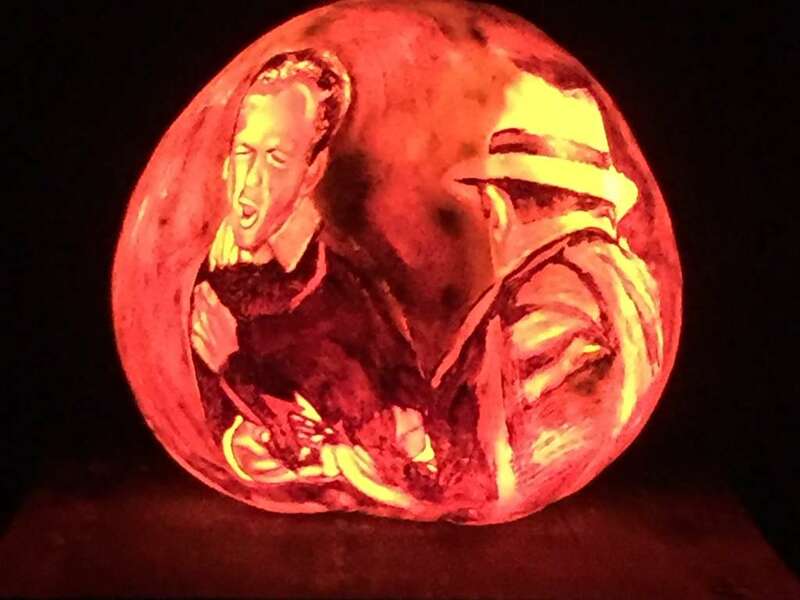 It’s art, it’s entertainment, but you can use it however you want, and by the time the kids are done, it’s a history lesson (think depictions of Jack Ruby and civil rights pioneers). 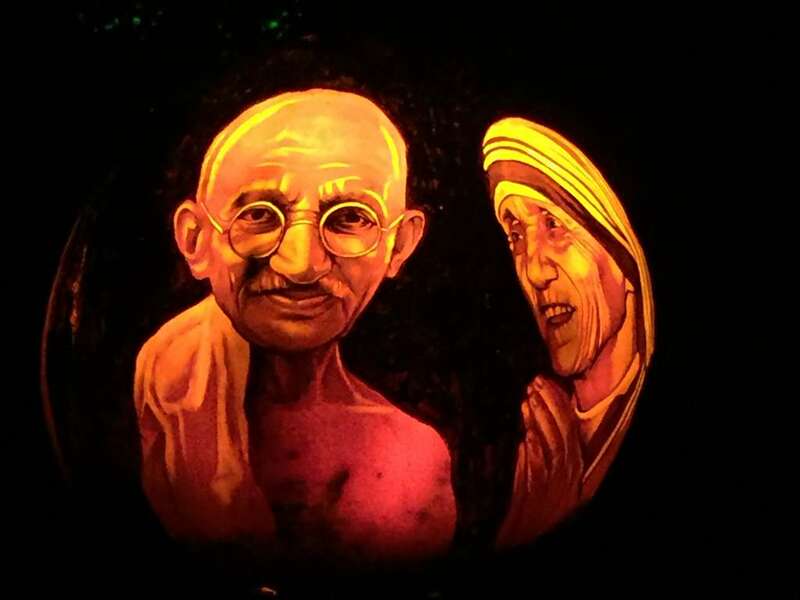 Every single pumpkin is individually lit with an LED light. 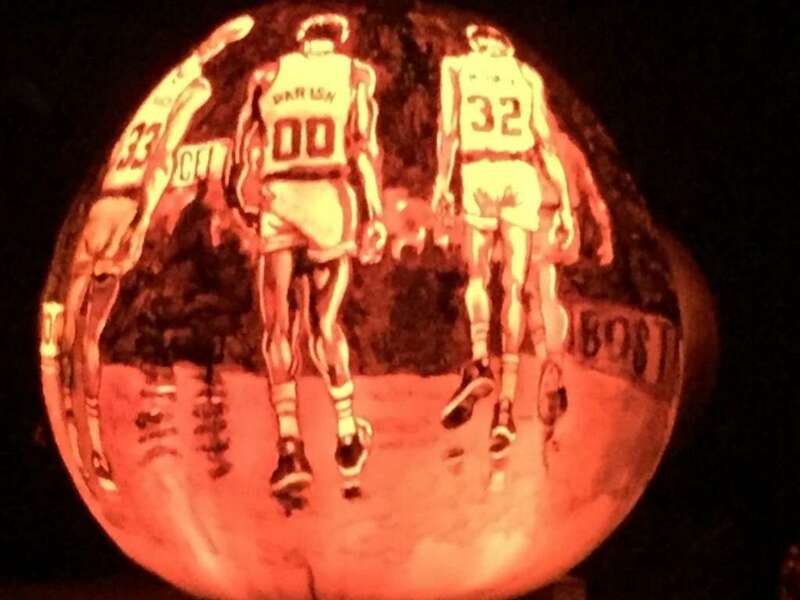 Some of the larger pumpkins have a fan inside to keep it cool. 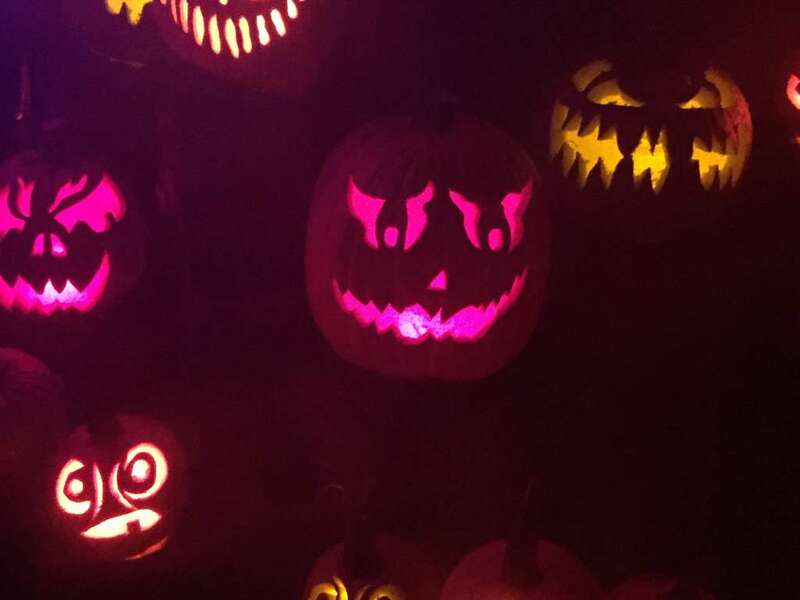 Each pumpkin lasts no more than 4-7 days, depending on how hot or rainy the weather is. 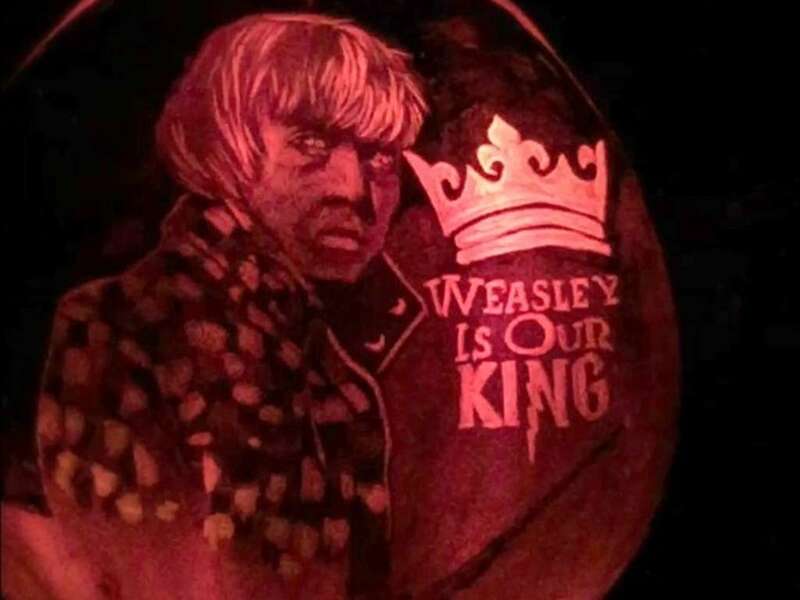 The more popular themed pumpkins like Harry Potter will be carved 4 or 5 times over since that is a mainstay of this year’s theme. 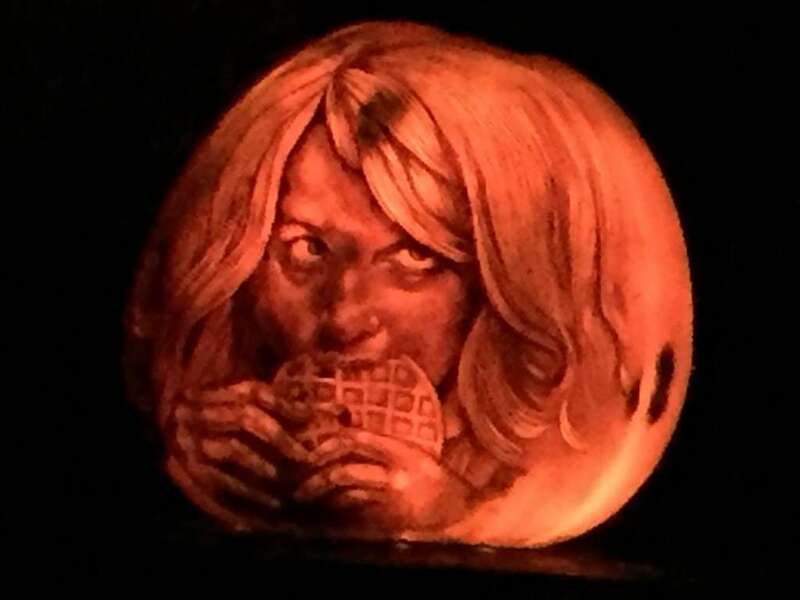 The carvers expect to go through about 20,000 pumpkins throughout the 32-night run. 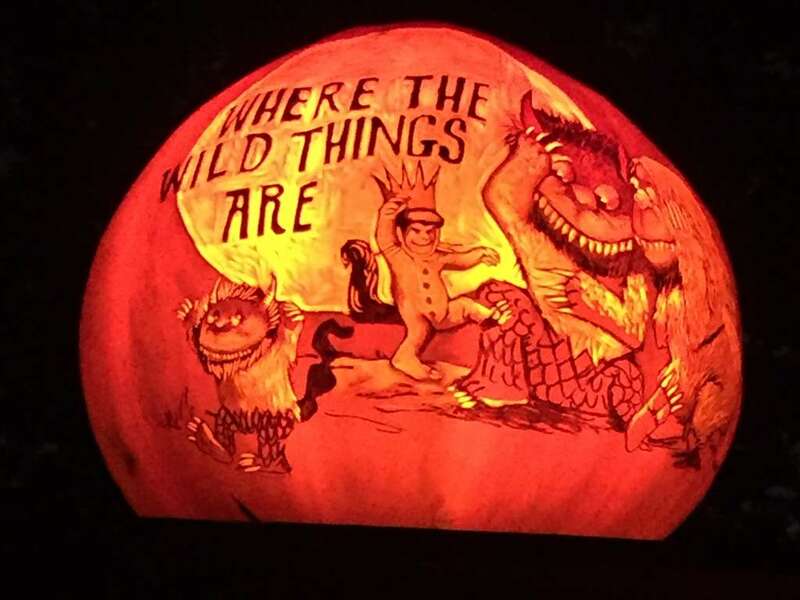 Pumpkins are picked in mid-August, arriving at the zoo in September. Planning for the theme and music and overall experience begins in January. Dismantling the pumpkins along the trail takes into December. 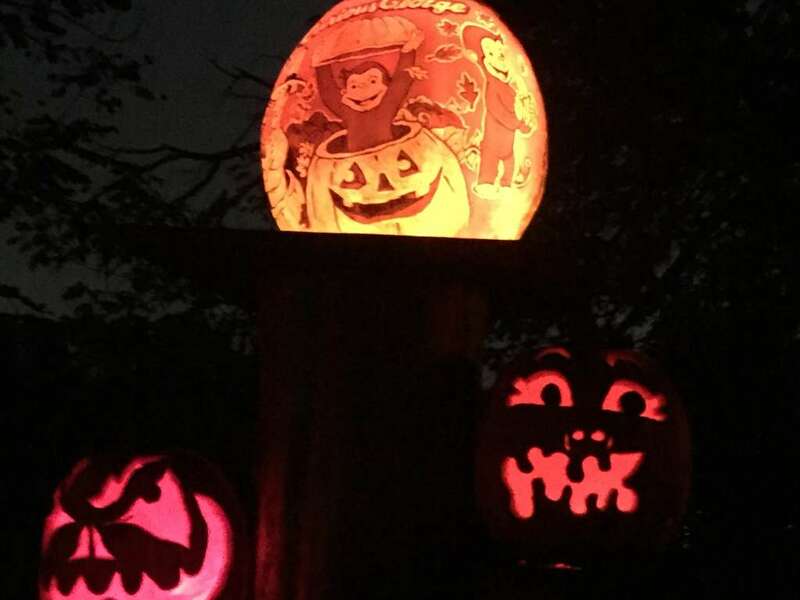 New this year are theme nights with events running from 6-9 pm and included in the price of admission. Dress up, enjoy a photo opp and immerse yourself in the magic. And did someone say butterbeer? 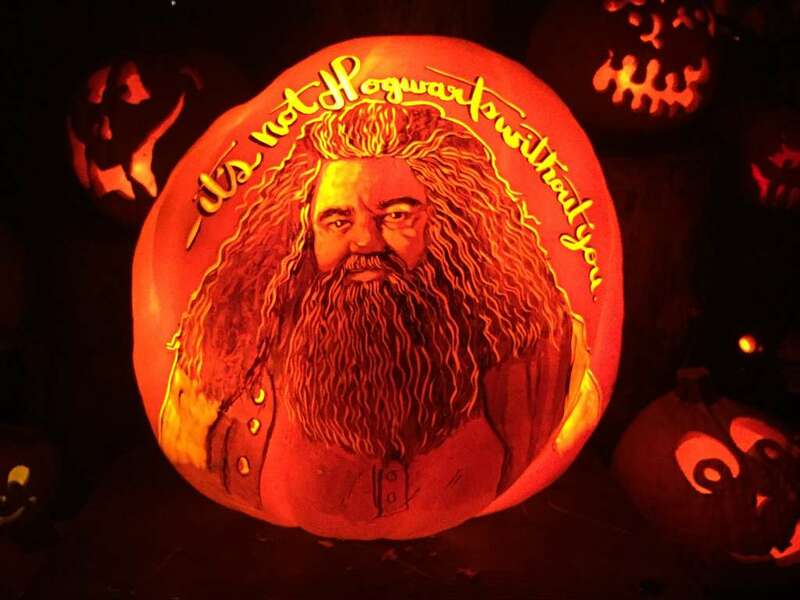 Wizarding Nights are October 17 & 18 and Superhero Nights are October 24 & 25. 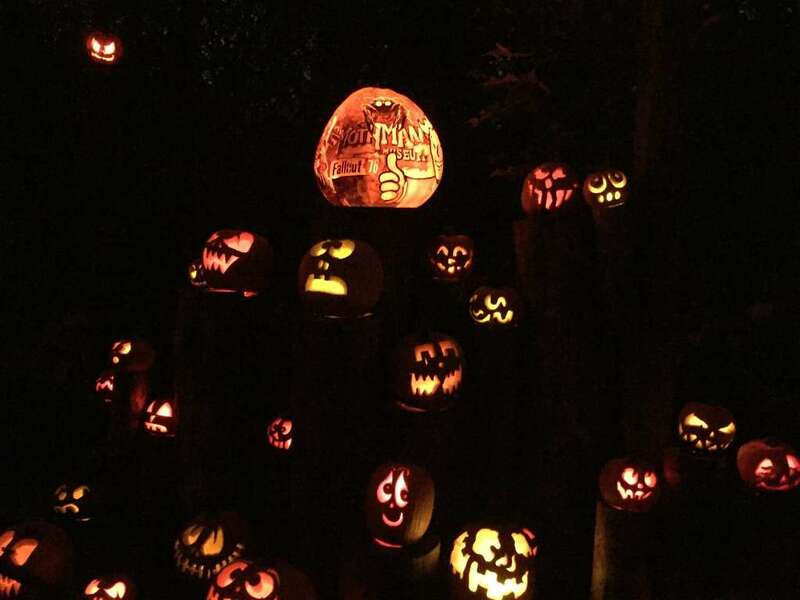 Allow yourself 45 minutes to an hour to meander through the pumpkin trail and take in the sights and sounds. 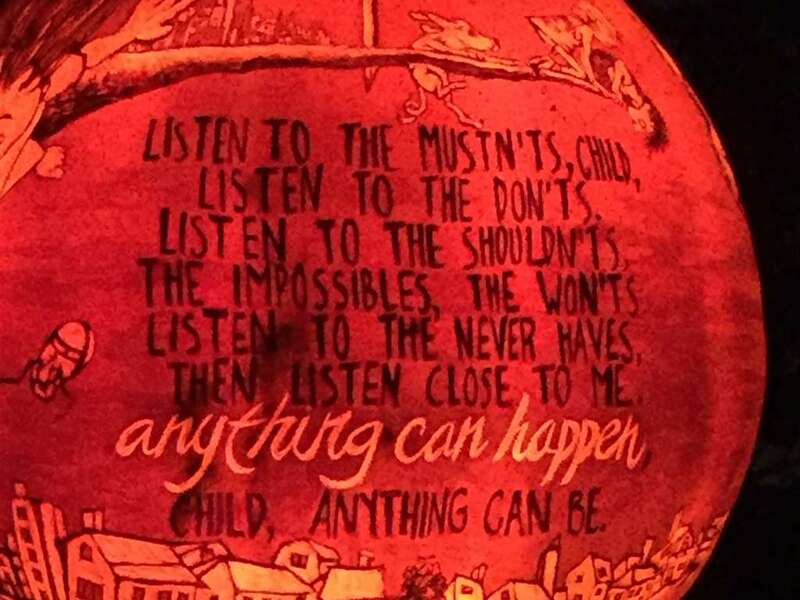 Take the time to examine even the smallest of pumpkins and don’t forget to look up high as they are strung on tree branches big and small, making it feel like you are walking through a glistening pumpkin tunnel at some points. Don’t miss the Soaring Eagle Zip Ride. 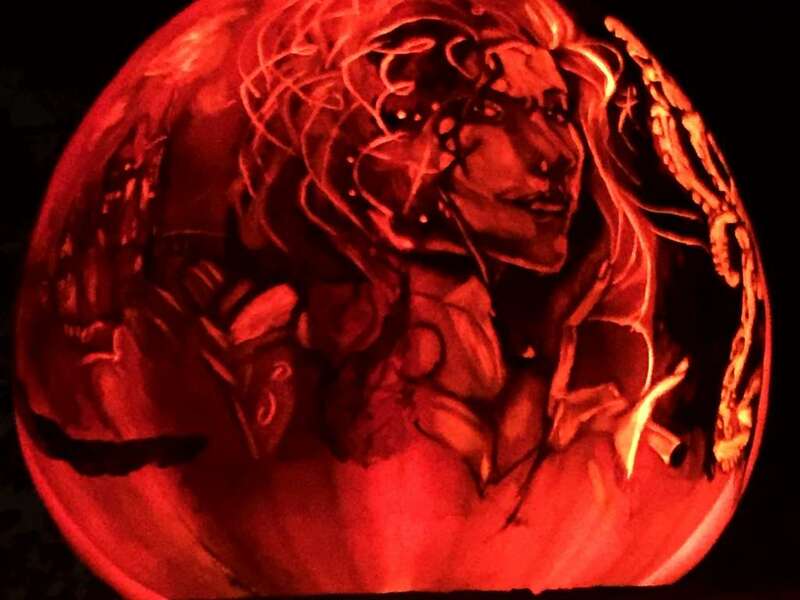 Soaring 115 feet above the park, it is a thrilling way to see the glow of the pumpkins from above. It is popular and a limited amount of tickets are available but at the very top you can see downtown Providence, the Rhode Island State House and, on a good night, you can see out to Narragansett Bay. Family photos are available for purchase, along with yummy fall goodies including fudge, Spider cotton candy, Ka-Boom kettle corn, trail mix (see what they did there?) and kryptonite rock candy. 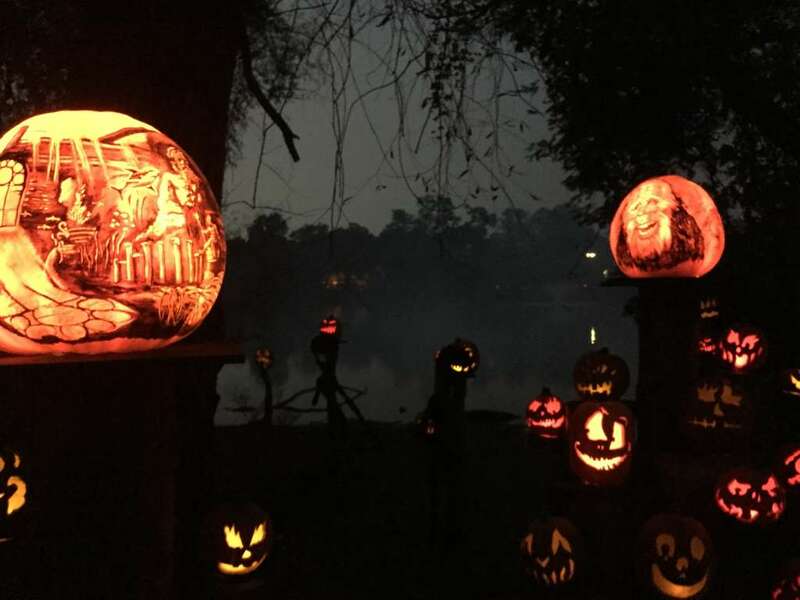 The pumpkin trail is open rain or shine. Friday through Sunday are “Prime Nights” and tickets are only available online ($18 for adults and $15 for kids 2-12). The rest of the week, “Value Night” tickets are available in person or online ($15 for adults and $12 for kids). There’s free parking or paid ($10) depending on close you want to be to the entrance.